Your romantic evening attire is missing this small detail! 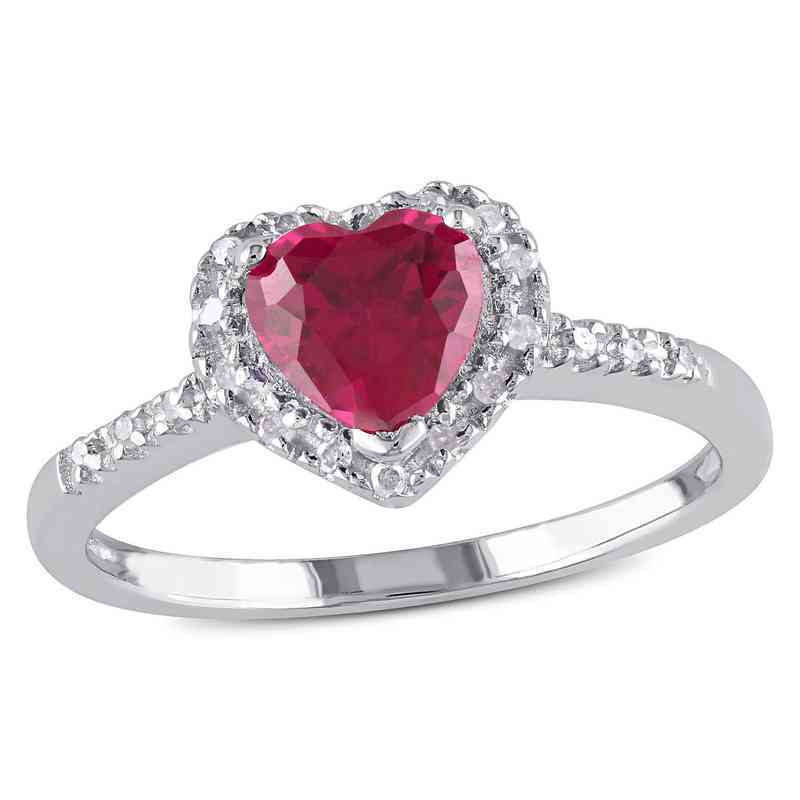 Crafted in a shimmering sterling silver with a created heart-shaped ruby, this ring is the perfect accessory. It includes 14 round diamond accents surrounding the heart and six more on the band for that extra sparkle. Manufacturer direct from a trusted supplier.